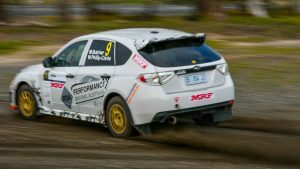 TEAM PDA Scores points at the 2018 CAMS Australian Rally Championship round 4. 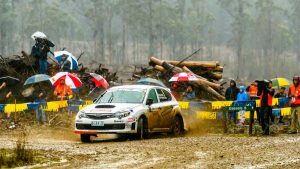 The team of driver – Mark Butcher and co-driver Warren Phillip-Clarke were pleased with the results in their near standard Subaru Impreza STi Rally Car. PDA are passionate about motorsport and continue to have a presence at various events around Australia. 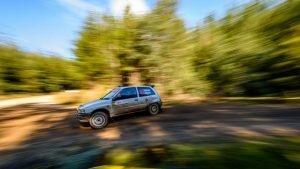 The above vehicles are usually driven by experienced rally and race driver and Performance Driving Australia’s Managing Director Mark Butcher. Mark has competed in motorsport since 1993 and drove in his first World Championship Rally in 1995. 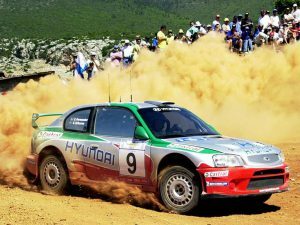 Since then Mark has finished as high as 4th outright in the Australian Rally Championship and has scored outright wins and class wins in a number of motorsport events around Australia. The best way to stay up to day with the motorsport activities is to follow PDA on facebook. Performance Driving Australia managing director Mark Butcher has had a long term involvement in motorsport in Australia. In 2016 – Performance Driving Australia commenced supporting several local drivers as well as developing two PDA Subaru’s for competition.